I’m a firm subscriber to the idea that wherever possible, web writing should flow just as naturally as books. “Click here” and “Follow link to story” are speed bumps to readability. If the links are clear enough, a user should not have to be instructed where to click. It’s easy to be writing site copy and link to another location with a “Click here for more” link at the end of the sentence. I’m certainly guilty of it, but this is an often unnecessary step. Since you’ve already written something, why not use that text for the link instead? Consider the following variations of a sentence and (inactive) link. At the auto show, a brand new car was released today. Click here for more. At the auto show, a brand new car was released today (www.sourceurlhere.com). At the auto show, a brand new car was released today. Which one of those three sentences would you read in a book? The first and second items are typical in online writing and simple enough to understand, but would almost never be found in other mediums. Option one presents a sentence, followed by an ambiguous link for more information. Option two also presents the sentence and then a sort of citation for the source URL of the content. In both cases there is extra text involved to provide a link. This is not the case for the third. Option three is the only one whose content would remain unchanged if a link was not involved. It isn’t natural to have a “Click here” spacing out sentences. This breaks the flow of reading. Placing the link inline with the text is unobtrusive, and increases readability. This is not a telegram. We do not need a “stop” to declare the end of a thought. I think a lot of people make the mistake of making a distinction between web writing and offline writing. In reality the formatting is much more alike than realized. Using links in context let the content surrounding it describe the end result. It allows a person to write naturally and then add reference links in where appropriate afterwards. In most cases, there is no reason to insert any additional text in order to create a link. Use what you already have. The average user will probably not care what the full URL of the target website is, or what the recommended action is, only that it has content they would be interested in. This will also help remove the confusion of where a link goes, and what content it is associated with. This is true for download pages as well. When a link titled “Download Now” is placed at the bottom of a page, a visitor may not know what exactly is being downloaded without reading the rest of the content. This is not redundant, it’s reassurance. The internet has been training people for years now to recognize hyperlinks. You will not be throwing visitors off by opting out of the “Click here” instruction. If you have doubts about this, take a step back for a moment. You are one small point on the internet. The responsibility does not have to fall on you. Let other sites be the training ground while you focus on building a more usable page for the rest of the internet. Nobody wants to click a link only find something they weren’t expecting. Let’s revisit the example from before. At the auto show, a brand new car was released today. Full coverage can be found over on the Car Magazine website. With the above link, where would you reasonably expect to end up? With this wording, we are adding further direction to the link, but it can still be read without hyperlinks. This is a good check. Would your writing seem awkward or incomplete if there were no links in it? Could it be printed without major adaptions? A user shouldn’t have to backtrack in a sentence to discover what a link’s contents is. Give them a sense of direction. As long as a reader can figure out where a link is headed, they will figure out the rest. You’re also looking at an added bonus for search engines. “Click here” links offer little help for SEO, because they will almost never help to describe the content of the link. The title property will only help so much if the link text is irrelevant. The text “Car Magazine website” gives a much better point of reference than a vague “Click here” action. It’s important to remember that this is only a guideline to strive for. It may not always be possible, but it’s an easy way to improve usability on your website. It’s not a terribly hard habit to break, and can save you plenty of words in the long run. Nice write up. This is something that I am still getting used to. Luckily I have a better half who keeps me on my toes about all the links that I write for our blogs. Again, nicely done! I was just cleaning up a page today filled with Click Here’s, and I was looking for an article like this. Thanks! I feel this method of linking is perfect as long as people try to stay away from double bar underlines maybe even single bar underlines. 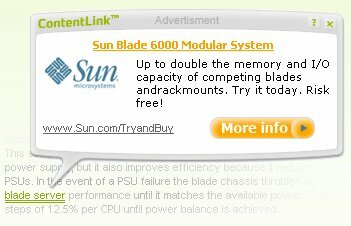 The double bar design could be associated with the annoying java script ad pop ups for keywords mid sentence and insecure links which often bothers me when i am trying to find out useful information so if i see too many of these types of links i tend to just skip the page unless it looks credible. Good point. I can’t count how many times I’ve seen the read more.. link. It really is anoying. Hopefully this approach catches on. I bugs me that I must add links separately in Twitter and other micro-blogged status updates. For two reasons. : the extra cognitive load, and the total character count. Excellent usability point. You should never see “Click Here” on a website!!! Some excellent points. I have also touched on the subject in a recent article on website optimization http://www.ethanandjamie.com/blog/39-seo/77-website-optimization-guide-1. It is a battle at my work to try break the habit of the writers and account executives from using “click here” as link text. I would suggest shortening your link “the Car Magazine website” to simply “Car Magazine” in accordance with the W3C’s recommendations: http://www.w3.org/QA/Tips/noClickHere. Including the word “website” divulges too much about the mechanics of the link. I’m a big fan of this whole philosophy. “Click here” is an antiquated term left over from the early days of the Web when people weren’t always clear what to do with a link. There’s little need for that now. I often give my clients the analogy that you wouldn’t expect to see a sign on a door that reads, “to enter, turn knob”. But I would argue that the onus lies with the big companies like Amazon to stop using “Click Here”. As long as Web users keep reading it on those sites, they’ll keep expecting to see it. Yes, this something that agency copywriters who usually done write for the web often forget. I think SEO is the best reason that click here links shouldn’t be used. That sounds great in a strictly idealistic sense, and I completely agree that it improves readability. However, it has also been shown to reduce the conversion rate of people who actually click through the link. So, clearly there seems to be more (probably less web-savvy) people who better understand the purpose of links that read “click here”. That’s just one study though. Other studies have found that the number of words in the link text actually has an impact on conversion too (with the magic number of words being 9-10). The best advice is to see what type of link text works best for your particular audience by using your own tests on your own website. Thanks for all the great contributions and feedback so far everyone. You’ve all brought up some good points on “link-iquette”. @Brian – Contextual ad links are something I hadn’t even considered while writing this post, but you’re absolutely right. From my experience it is possible for a regular visitor to determine which links are legitimate and which are advertisements, but if link styles are ever changed, this would make a huge problem. I would say that the best practice would be to avoid them at all costs. The Snap preview rollover image most provide is quite a usability nuisance anyway! @Mike – Thank you for that reading. I’m always presently surprised with what both W3 and W3 schools have to offer. Removing the word websites and similiar descriptive words would not be a very hard thing to do, especially if it gives better results. Also, I loved your doorknob analogy. @Michele – Glad to hear you enjoyed the article! I also have to say that I’ve never read blog posts on juice before that held my interest until I found your blog. Good work! @Steve – That’s an interesting read. I agree that certain audiences may (at present) be more responsive to the click here instruction, but it’s my feeling that if we ever hope for users to use/make links intuitively we must all make an effort to stamp out ambiguous link practices. Sort of like making a reason for IE6 users to upgrade their browser. Wow, I’m totally guilty of “Click Here”, no more. Still I disagree with the finger waging at example number two of common approaches. While I appreciate the benefits of example number three, example number two would not be out of place in printed media. In fact, example number three is probably exactly what you would see if the author wanted to reference on-line material. I completey agree with you! I think I might have a few ‘click heres’ in my site.. hopefully not too many! I will have to look through at some point! Great post! Excellent article and some great comments & feedback too. Food for thought. A comment which set me thinking was the door knob analogy … which highlights the need for designers and content creators to be aware of their audiences. It made me think of the old visual joke of a three doors. One door has a sign saying Push, the second door says Pull, and a the third says Lift. There are certainly a lot of web savvy people out there, but there are also a vast number of people only just starting to experience the web and also a vast number who have yet to touch it. There is a visual language to the web which we learn fast, but which do need to learn … just as the difference between needing to double click on an item on your desktop, but a single click being sufficient online. Certainly ‘click here’ is an explicit term which many of us find redundant … but there as the web is expanding so significantly there is a base level requirement for user guidance. That said, I completely agree that the onus is particularly (not exclusively) on Government (local and larger), Education and big industry websites to lead this guidance. Certain sites cater specifically for savvy people and have no need for that education aspect … and yet there are also certain sites which ‘need’ to cater for the ‘everyman’. So, basically … for each website you create/design/create content for … you should always consider your audience first and foremost. On the other hand, linking the words "a brand new car was released today" might make me think the link goes to an AP article, and maybe I don't want to get my car news from the AP. Except for 'click here,' which you rightly despise. But the ambiguity of some of the alternatives makes me think for a second, maybe 'click here' is used so much because it's the least ambiguous? Really good post. I’ve long read that a hyperlink that says “click here” has a higher click through rate, but as you noted is very poor for readability and certainly for seo if that’s what the writer was going for. So it all depends on what the writer is going for. If you’re selling something or want your users to download something useful then simply “click here” may at times be the best. You also gradually learn hints about the protagonist himself and his mysterious past. Hughes’ daughter adores her father and, being very young, can’t understand the meaning behind the funeral, nor why her father won’t “wake up” and finish all the work he said he had to do. Dark-colored lenses like blue, grey or brown work best for very bright conditions. I needed to post you this little bit of word so as to give thanks again for your personal amazing ideas you’ve shown on this site. It was so extremely open-handed of people like you giving openly exactly what a number of us would’ve sold as an e-book to generate some dough on their own, especially now that you could have tried it in the event you decided. Those good ideas likewise acted to become good way to be certain that many people have the same zeal like my own to understand lots more concerning this matter. I’m sure there are a lot more enjoyable sessions in the future for many who examine your blog. IN THE WORLD OF KENNETH BORDEWICK, WHERE DESIGN BECOMES PORTRAITURE. Like the paintings of Tamara De Lempitzka. Like a leather chair that never fails to form to your body. Like a Tiffany vase dancing atop a walnut table. A concept of elegance between Mid-Century Modern, Empire and Neo-Classic. Stile pilots. The choice of making the design of the silhouette even more contemporary, dynamic, essential. A statement. A Uniform, an immediately perceptible way of being. Reflecting language based on subtle monochrome shadings of light and dark. Clear forms, unmistakably defined structures. Sofas brush stroked on to the architecture, with squared legs and tapered arms. Full sheers with curled fibers at the hemline. Opposite effect Egyptian cotton with diagonal or zig zag jacquard stripes in bronzes and silver. The sumptuous sheen of silk, the highlights of aesthetic design. Clinging or flowing. Heavy or Ultra-light fabrics. Matte to glossy shadings. Sophisticated touches of luxury. Only at Kenneth Bordwick Interiors!